A family targeted with a burning cross by a Ku Klux Klan leader-turned-priest says they are owed thousands of dollars more in compensation and that the Catholic church covered up the priest's past actions. Phillip and Barbara Butler, who are now in their 70s, had just gotten married. They had some knowledge of racial tension in College Park, Maryland, where they bought a home and settled in. Then, one night in January 1977, they were watching an episode of "Roots" when a neighbor called with terrifying news. Phillip Butler, a Vietnam veteran, went outside and found a 8-foot cross burning on his lawn. A Virginia priest is taking a leave of absence after he admitted Monday that he was previously a member of the Ku Klux Klan who burned crosses on lawns. 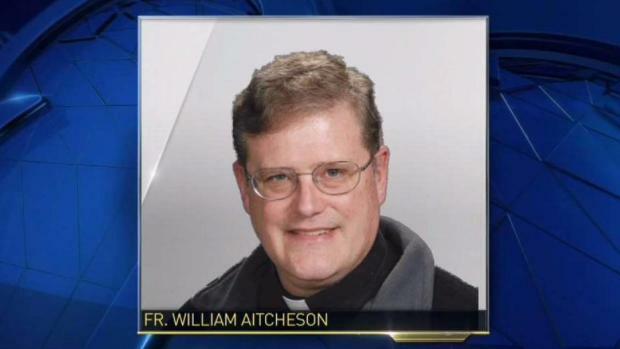 "My actions were despicable," Father William Aitcheson wrote in his diocese's newsletter. "When I think back on burning crosses, a threatening letter, and so on, I feel as though I am speaking of somebody else." But as News4's Mark Segraves reports, Aitcheson omitted the fact that he never paid restitution that he owed to his victims. William Aitcheson was convicted of burning of the cross and ordered by the courts to share the names of fellow KKK members and pay the Butlers $23,000. After a brief stint in prison, he left the state without meeting either condition. Over the years, Aitcheson became ordained as a Catholic priest. He worked in Nevada before returning to St. Leo the Great Catholic Church in Fairfax, Virginia. The Butlers and their lawyer accused Aitcheson of spreading racist beliefs during his time as a priest. “He was teaching young kids -- young, impressionable kids -- that the Civil War was fought over state’s rights and not Confederacy. Then he’s leading young people in singing Dixie at a rally. And all of this happened while he was a priest,” the Butler’s lawyer, Ted Williams, said. “The word Dixie and the song itself is very offensive to black people,” Williams said. 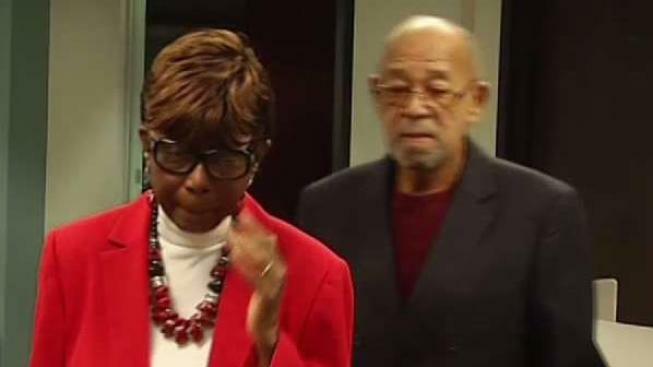 News4's Mark Segraves spoke with the African-American couple that was stunned to learn this week that the man who burned a cross on their lawn in Maryland in the 1970s is now a Maryland priest. 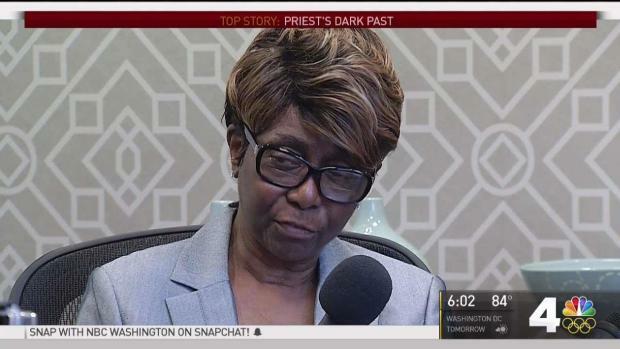 The Butlers didn’t discover their harasser worked less than 25 miles away from their home until August, when Aitcheson admitted his prior KKK affiliation in a letter published in The Arlington Catholic Herald, the diocese's newspaper. "To anyone who has been subjected to racism or bigotry, I am sorry," he wrote in the letter, where he also announced he would take a leave from absence from the church. The letter didn’t mention the cross he burned on the Butlers' lawn, nor did it mention the court-mandated fines he never paid. News4 learned that police accused Aitcheson of building pipe bombs and Molotov cocktails. Also, he served time in prison for threatening Coretta Scott King, the widow of Martin Luther King Jr.
After the letter was published, News4 learned that a Washington Post reporter had been investigating Aitcheson’s past. Barbara Butler says he only came clean because of the investigation. The church acknowledges they knew about Aitcheson’s violent past but said they didn’t learn about the civil judgment until August. After declining to meet with Aitcheson, the Butlers ultimately accepted two checks dated Nov. 27, 2017, from Aitcheson’s lawyer. They also accepted $9,600 for attorney’s fees. However, Aitcheson was not required by law to pay: the Butlers' former lawyers allowed the court order to lapse. “Fr. Aitcheson felt a moral obligation to pay as much as he could. The diocese supported this decision. The restitution and attorney’s fees have been paid by Fr. Aitcheson from his private funds and a personal loan,” the church said in a statement. Aitcheson paid the original $23,000 judgment. The Butlers say they are owed $65,000 in interest. They also are considering suing their first lawyers, from the firm Steptoe and Johnson, for letting the judgment lapse, their lawyer said. Phillip Butler, who is Catholic, said he cannot yet forgive Aitcheson.